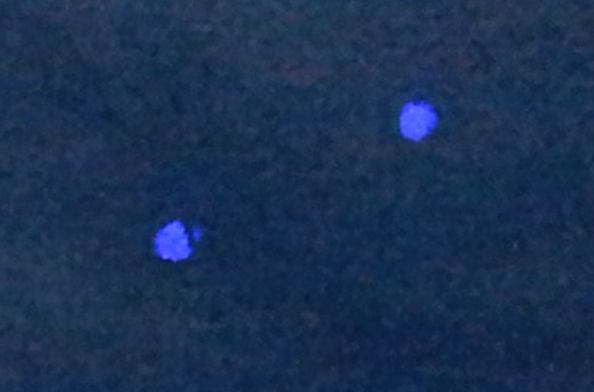 UFO SIGHTINGS DAILY: Two Blue UFOs Seen Over Springville, Utah On July 30, 2015, UFO Sighting News. 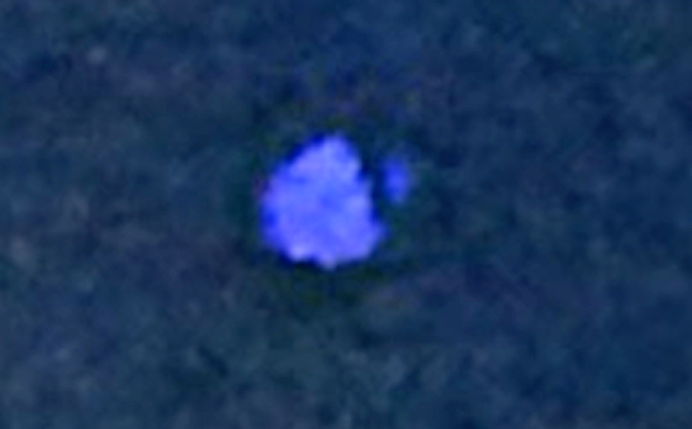 Two Blue UFOs Seen Over Springville, Utah On July 30, 2015, UFO Sighting News. There are two blue UFOs in this photos and one of them, has a line through it, as if the line is a cloud covering it. As you can see from the screenshots, the objects are not orbs, but do have an irregular edged disk-like shape. 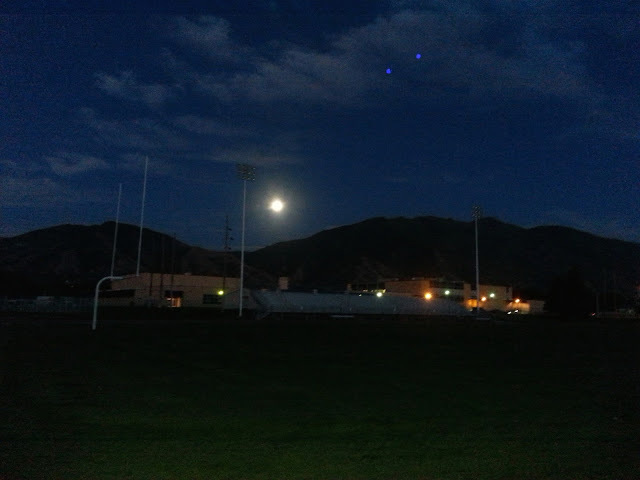 I was walking on the track at Springville high school in Springville utah around 8:30-9pm and decided to take a photo of the moon. I didn't notice the objects until I posted the photo on my Facebook page. 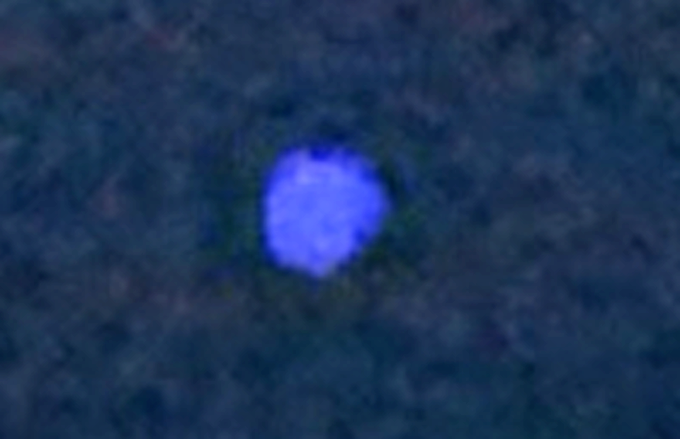 The blue spheres are clear and obvious. I was unaware of the objects at the time I took the photo, without my glasses. However, the bottoms of my feet began burning and I found it difficult to walk home and the pain continued for almost two days. I don't know why or if it was connected, but it has never happened before. Because I didn't notice the objects at the time I took the photo, I don't know how long the objects were in the sky.